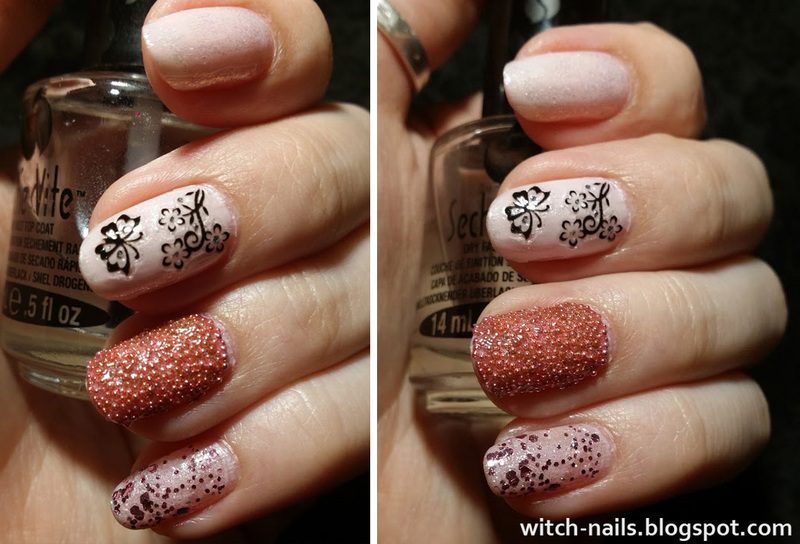 Here is the story of how I started decluttering my precious nail paint collection - which wasn't nearly as big as some others I've seen, but it was too big for my new minimalist self! 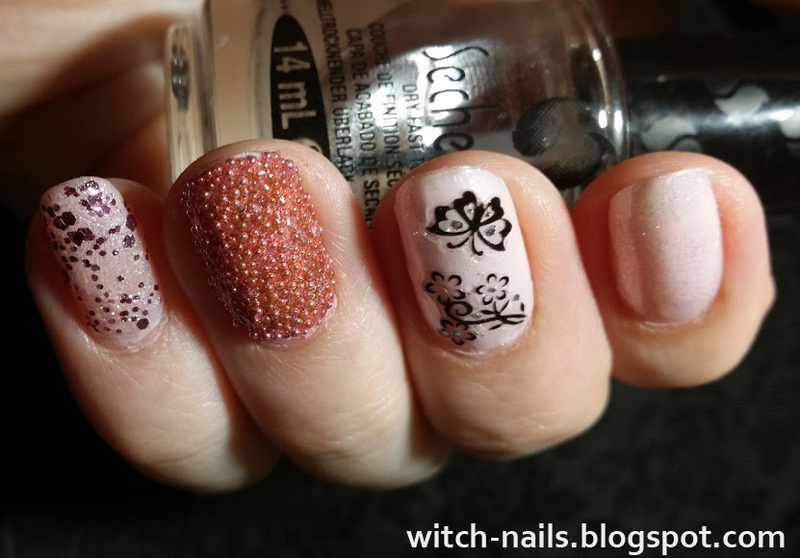 For this light pink manicure I used a glittery Essence polish as base. 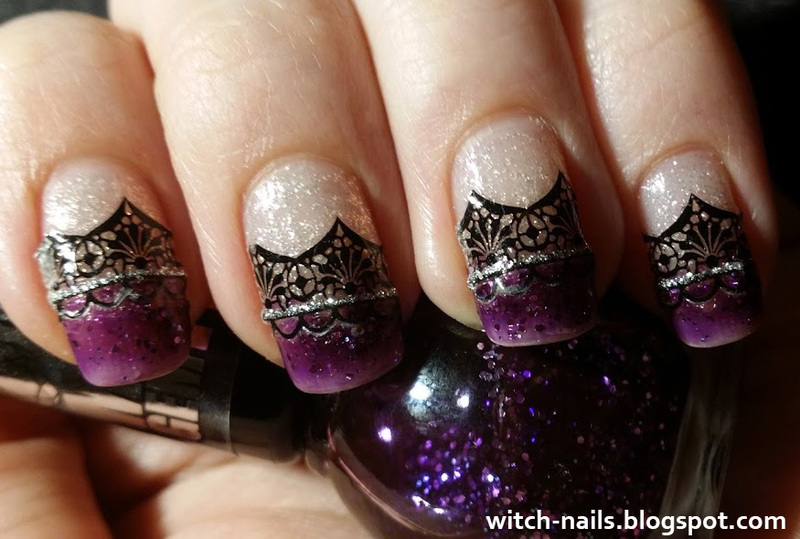 For all different nails I used: another transparent polish with smaller and bigger hexagonal glitters, nail caviar (poured the little beads on wet transparent polish) and black butterfly and flower stickers. 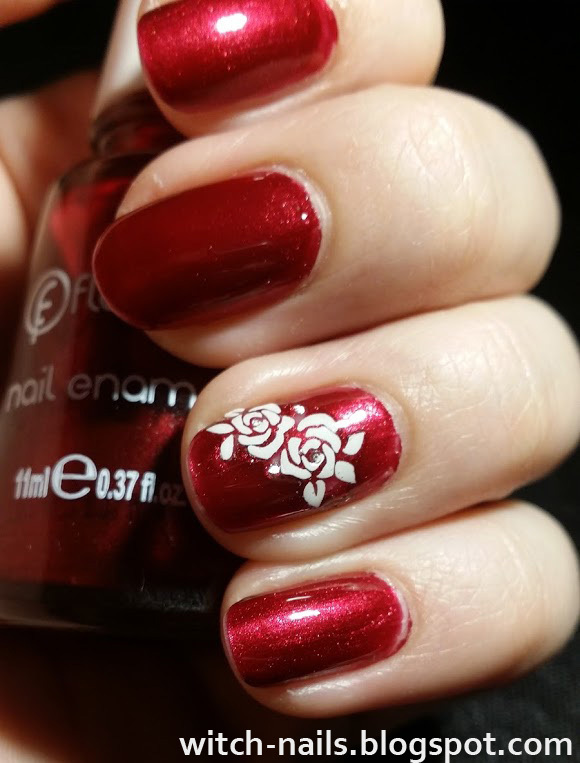 Another one of my favorite manicures from 2016. 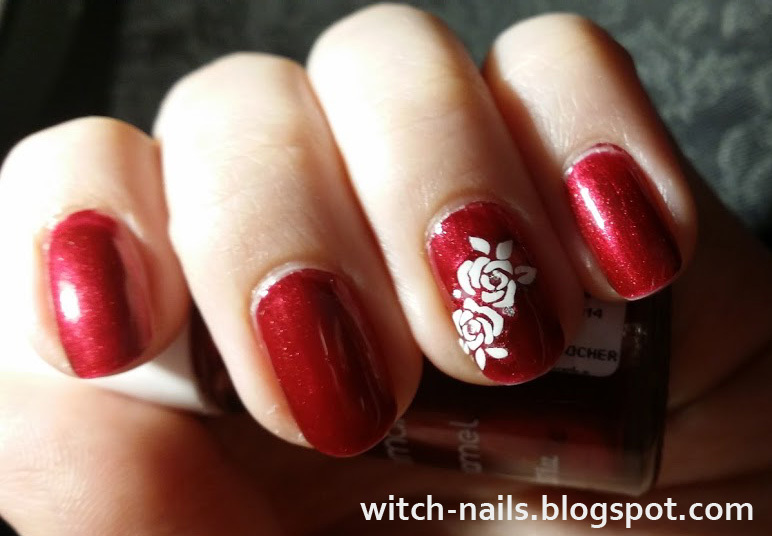 I made this design by filing my nails in a rounded shape, using a dark red metallic nail polish from Flormar and white rose stickers. 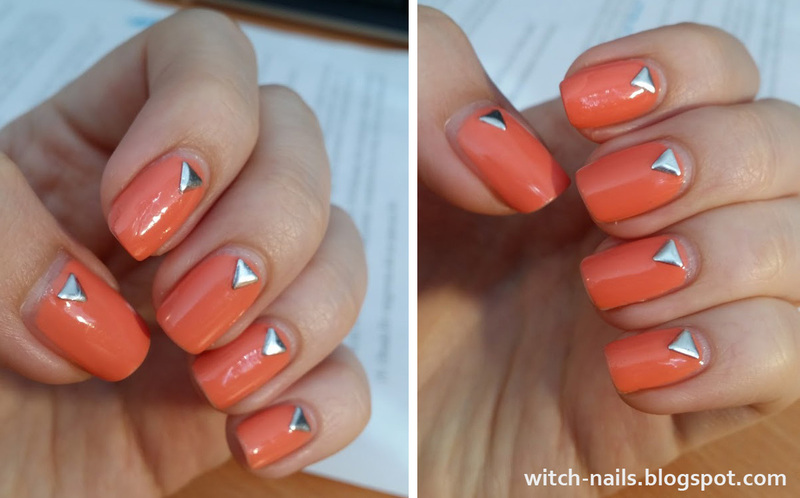 One of my favorite manicures from 2016. that I didn't get the chance to post earlier, this is a simple light orange manicure with metal studs. I loved having it.